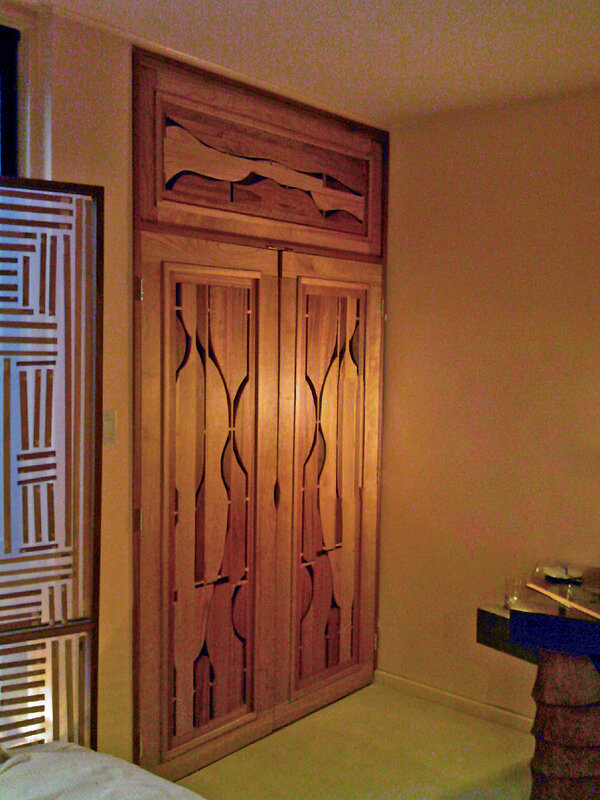 Woodsongs redefines doorway treatments, creating an artistic way of addressing openings between rooms and in front of closets. 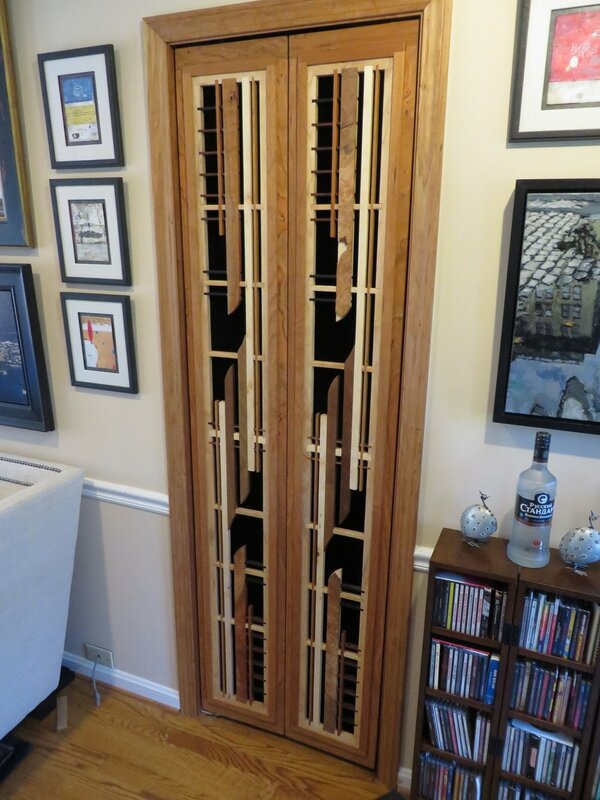 I made the first swinging doors for my living room, in 2005. It was a room that needed a visual barrier, but not a solid door. I was tired of the same old doors and I did not want the hollow core or the, raised panel doors, that are available on the market today. When they were finished and hung, the visual impact on both rooms was tremendous. I had to show them to the public. 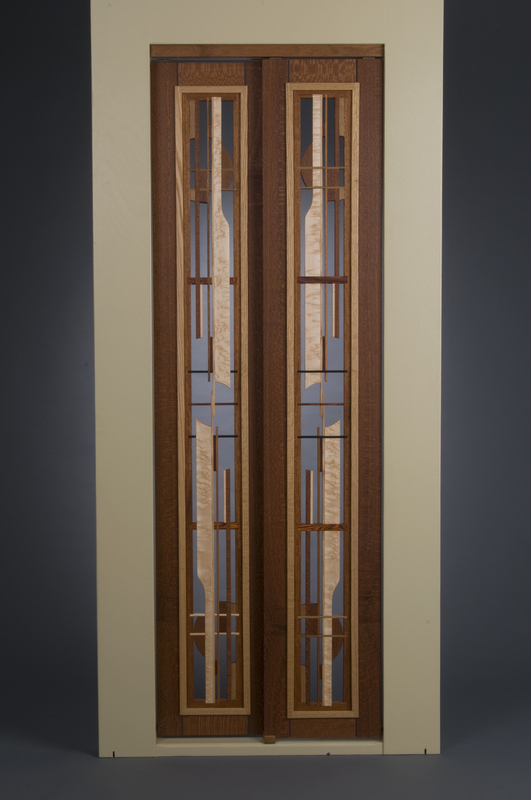 Since then the doors have been made in several designs and wood combinations. They have been installed in several locations within the home or office. The most common place is in or around the kitchen. Also bedroom and bath, hallway, entree way, pantry, closets and elsewhere. Each set of doors is a custom project uniquely designed to fit the site. I enjoy working with my clients. Listening to their preferences, comes naturally to me. When someone is serious about adding Woodsongs doors to their home, I gladly visit the house to measure and talk about the space. This process ensures that the final design and installation is perfect for you; that my work becomes a functional, but artistic expression; a complementary enhancement to the statement that is your home or office. Any panel or door design is available with any hardware. You'll find a few designs in the images on this page. 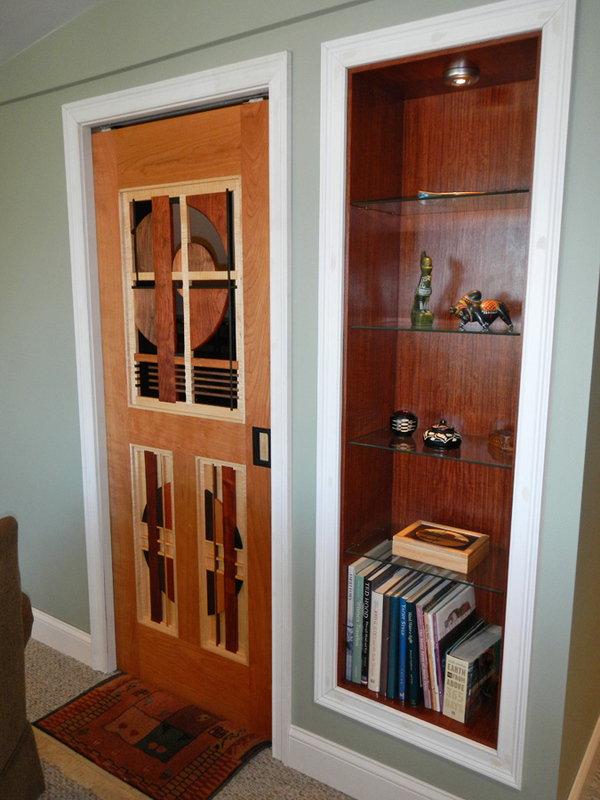 The different kinds of hardware are for; bifold, sliding, and swinging doors. Most custom projects are composed of 2 to 6 woods. They are chosen to complement each other and to complement other colors in the room or space.